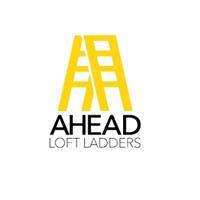 Ahead Loft Ladders - Insulation, Lofts/Loft Ladders based in Worthing, West Sussex. Hello my name is David, I have fitted loft ladders for around 9 years in Hampshire and Sussex. I set up my company in 2012 (Ahead Loft Ladders) and have fitted around 2000+ loft ladders and other jobs like boarding, insulating, windows and Woodworm treatment of lofts. We offer a wide range of ladders from metal to wood ( Youngman, keylight and Fakro and more). All ladders are supplied and fitted to British Standards and are very easy to operate. We don't just do loft ladders, we also specialize in loft insulating and boarding lighting.